Learning French is something that can be daunting, but it can really help with your new life, is great brain exercise – and not as difficult as you think. Age is no barrier to learning either. Of course you might muddle along with the basics, but think how integration will be so much more fun when you can chat to your neighbours, the shop keepers, local officials, or your children’s teachers. 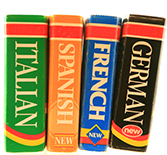 Don’t be put off by the enormity of the task – did you know a third of all English words have their origin in French? Apart from understanding your paperwork, there are important cognitive health benefits of learning a language too. Check out two great free Apps that you can use on your smartphone any time – Duolingo and Memrise. There’s no reason not to get started now!